If you are one of those people who enjoys riding bikes, then you most likely have heard and even been involved in some pretty harrowing escapes. Riding a bicycle for fun is great exercise. There’s nothing like it to clear your head and help you focus on other more serious tasks. But as all bike riders know, most motorists just don’t watch out for bike riders. Sometimes motorists are preoccupied and not watching what they’re doing. This can be dangerous for those out walking or bicycling along a roadway. Other times, motorists can be just plain aggressive. Maybe they had a bad day or a fight with their wife. Whatever the motivation, those drivers who display aggressive behavior toward cyclists are endangering their lives. Once a cyclist has been hit or driven off the road into a ditch, their injuries can be quite severe. That’s when you need a qualified Texas bike injury lawyer on your side. 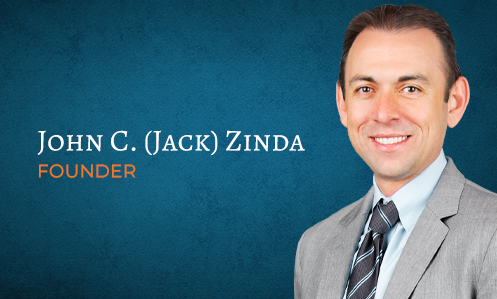 Zinda Law Group PLLC has been helping Texans for years to recover damages against negligent parties. Though personal injury attorneys sometimes get a bad rap, the truth is that we fight to make sure the guilty party pays and victims receive adequate compensation for their injuries. If you’ve been involved in any type of accident, then you know that the insurance company will try to get you to sign documents right away giving up your rights to compensation. They know that the best opportunity to get your signature on legal papers is directly after an accident when you’re still stunned and in shock. That’s why we encourage victims to seek legal counsel immediately. Our Texas law firm will protect your rights. We will fight to get you the compensation you deserve. The bicycle accident lawyers at Zinda Law Group PLLC have many years of experience dealing with bicycle injury lawsuits. We are well acquainted with the complex legal issues involved. Our attorneys will act quickly and efficiently to help you get justice. Our team is dedicated to helping you receive payment for your pain, suffering, damages and ongoing expenses. Call us today or fill out the form on this page. It’s quick and convenient and all information you share with Zinda Law Group PLLC is kept confidential. We offer a free legal consultation so why not contact us today?